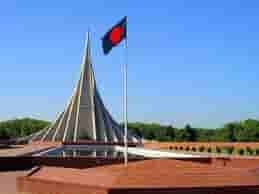 The Anti-Corruption Commission of Bangladesh Jan 22 launched preliminary probes into corruption allegations against 7 AL ministers and MP of the ninth parliament. 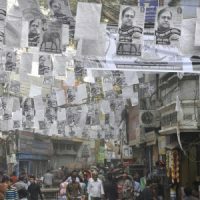 The Anti-Corruption Commission appointed 7 separate investigators to probe the “discrepancies” in the wealth statements of former health minister AFM Ruhal Haque, former state minister for water resources Mahbubur Rahman, former state minister for housing and public affairs Abdul Mannan Khan, MP of the 10th parliament Abdur Rahman Bodi and Aslamul Haque, and ex-MP Enamul Haque and Abdul Zabbar. ACC sources said they would ask the 7 politicians to respond to the allegations if their probes found irregularities in how they came by their wealth and if they had failed to disclose their actual wealth. The ACC decided to launch the probe following newspaper reports on the wealth statements of the ministers and lawmakers which they had submitted to the Election Commission. The seven investigators would submit their findings to the ACC within 15 working days. 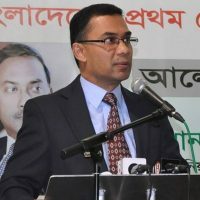 Transparency International Bangladesh Executive Director Iftekharuzzaman said ACC’s could take this probe as a challenge. As per a Supreme Court verdict in 2007, the EC has to collect eight particulars about lawmaker aspirants, including their wealth statements, and make those public so that voters can know about their prospective representatives. Md. Mahbubur Rahman Talukder, Former state minister for water resources, wealth tk. 41.88 Lac in 2008 and wealth Tk. 7.61 in Dec 2014. Abdul Mannan Khan, Former state minister for housing and public works, wealth Tk. 10.33 in 2008 and wealth Tk. 11.03 in December 2013.